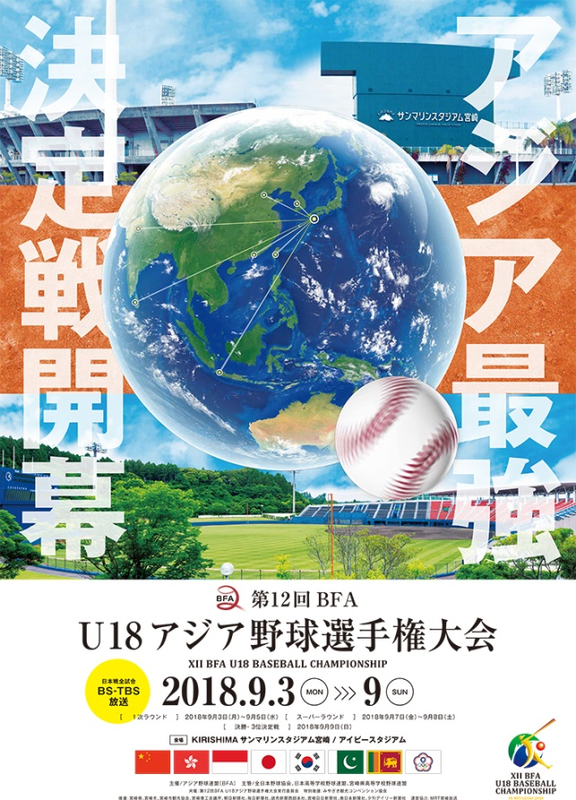 Right after the Asian Games where 10 Countries participated in Indonesia from August 21 to September 1, the 12th BFA U18 Baseball Championship is starting in Miyazaki, Japan from September 3 to 9. Eight nominated teams are: Chinese Taipei, China, Hong Kong, Indonesia, Korea, Pakistan, Sri Lanka and host Japan. 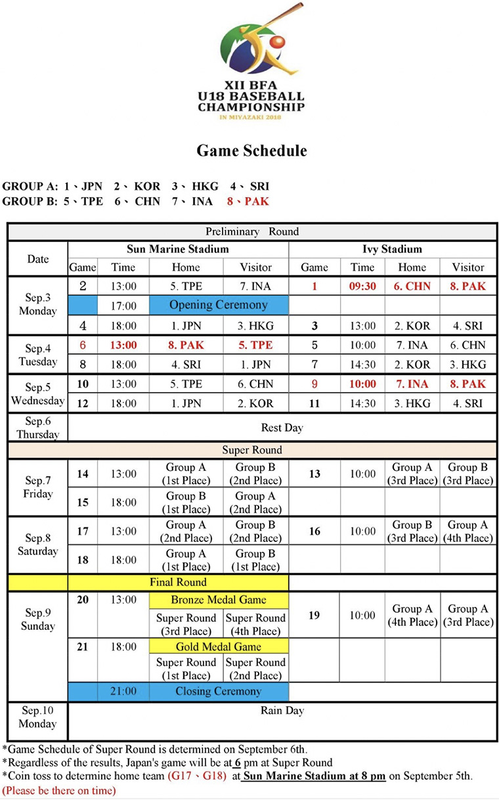 The Championship will serve as a qualifier to 2019 World Baseball Softball Confederation (WBSC) U18 World Cup and the top three are eligible to participate in the World Cup. Owing to visa and flight ticket issues, Pakistan could not make it to Miyazaki at the last minute and their scheduled games are forfeited.